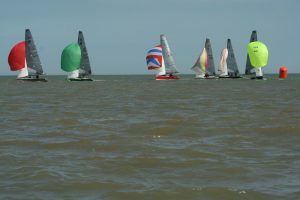 The National 18s were out in force on the wide Blackwater estuary during the week of 15th to 20th July. Winds were in the south and were reinforced by sea breezes to a steady force 3 to 5. Add plenty of sunshine and this was the recipe for great sailing each day. 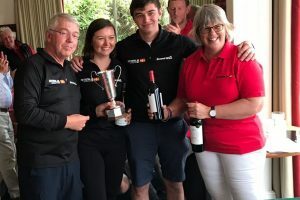 Hosted in splendid style by West Mersea Yacht Club and Dabchicks Sailing Club with local expert Paul Jackson as Race Officer, some were saying it was the best event ever. 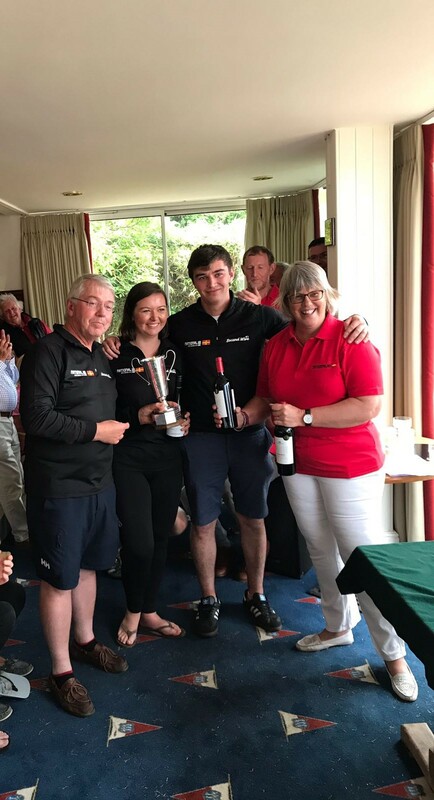 Entries came from England, Scotland, Ireland, the Isle of Man and France. 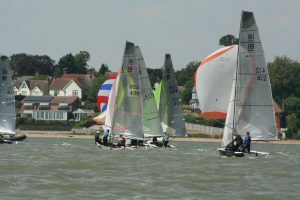 Predominantly they were Morrison ‘Ultras’, but there were also a number of ‘Ultimates’ which raced in a separate fleet. Noticeable this year was an increase in family crews.